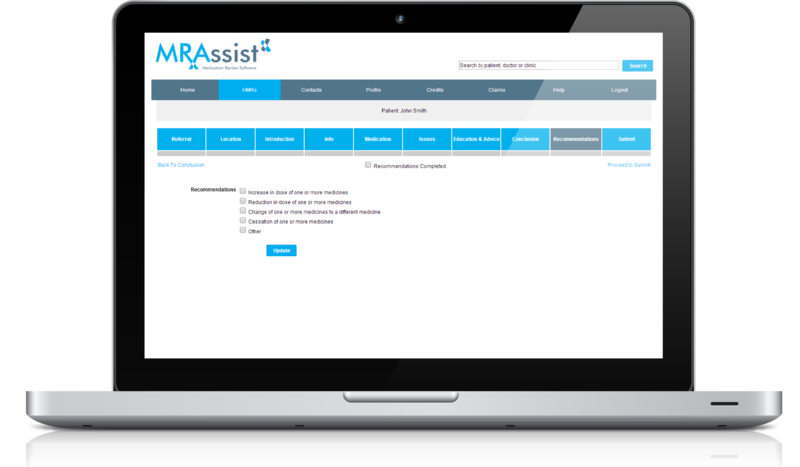 MR Assist is a secure cloud-based platform for accredited pharmacists and general practitioners to share, complete and monitor the progress of home medicines reviews (HMRs). Spend less time on paperwork and report writing. 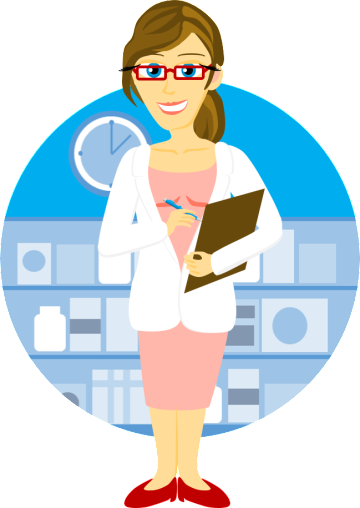 With MR Assist accredited pharmacists can receive, manage, complete and claim HMR referrals faster and more efficiently. Keep up to date with your HMR referrals. 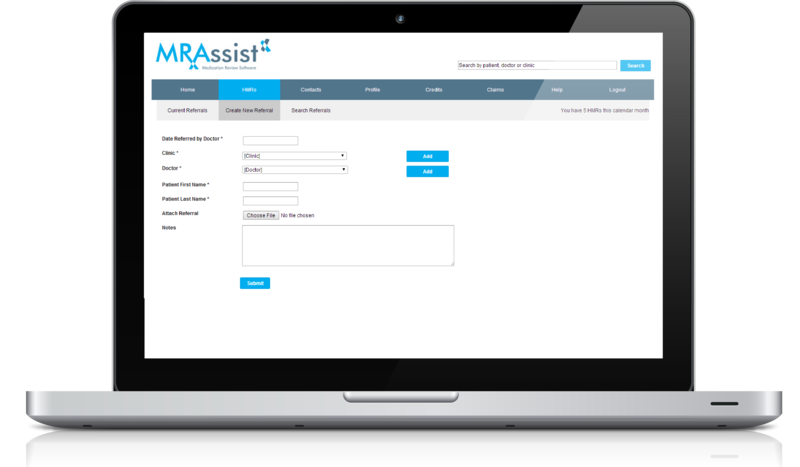 The MR Assist platform allows GP clinics to securely refer HMRs to accredited pharmacists and monitor their progress in real time to ensure that the follow up GP appointment is completed in a timely manner. MR Assist is free to use for GPs and clinics. MR Assist helps general practitioners, clinic administrators, practice nurses and accredited pharmacists collaborate to ensure that HMRs are completed in a timely manner. No more faxing or emailing sensitive patient data. Send referrals and receive HMR reports securely via our online portal. MR Assist helps you to stay on top of your referrals. Monitor HMRs from the initial referral through to the follow up GP appointment. See which referrals require scheduling and be aware of when reports and claims are due. Our easy to use report template makes completing HMRs a breeze. 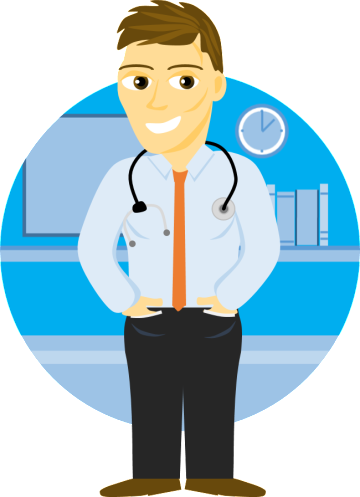 Complete more HMRs in less time giving you more time to focus on patient care. Reduce the burden associated with manual claiming. MR Assist aggregates data from each HMR to pre-fill your claim forms enabling you to submit claims with the Pharmacy Guild quickly and effortlessly with the click of a button. MR Assist is cloud based so your jobs are available anywhere at anytime over the internet on desktop or tablet devices. Send and track referrals. Complete HMRs. Generate Claims. Are you an accredited pharmacist seeking more HMR referrals? Drop us a line. We have GP clinics looking for accredited pharmacists to fulfil HMR referrals.